Could this actually happen? New Toilets in Hockley with the Library in the last Cubicle? 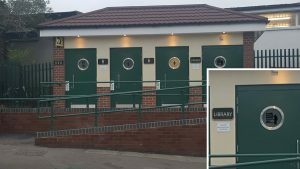 There are plans for new Public Toilets to be given by RDC to the Parish Council for this other Council to pay for cleaning and maintenance in future. There WERE plans for a NEW Hockley Library from Essex County Council. And no plans for closure. But we are now told that Hockley Library could be downgraded. Our MP does not appear to be fully supporting the campaign against this by lobbying County Councillors to get what 4000 or more residents want in the Petition. He wrote to a resident, quote, “I will continue to ensure that she [County Council Cabinet Member] is aware of my constituents views” and at the end “I hope that a sustainable solution will be found”. Obviously this includes downgrade. You will have seen this alleged comment from a County Councillor in the email we posted on Sunday “our library wouldn’t be moved from tier 3.” Which means downgrade. That being the case why is Essex County Council even consulting with residents? And Rochford District Council would not back the Petition to retain a Full Library Service. If the downgrade happens will you feel let down by your local councillors? Who will you vote for in future? 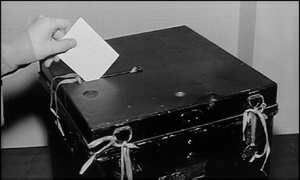 The next Local Election is in May. Perhaps you should tell them now………………. in case they REALLY do want to save Hockley Library with the present full service. Is Our Green Belt Safe under our Council? Did you arrive at this page from a search engine? If this is not exactly what you are looking for, are any of the following other pages of interest?